Shared printing is a big issue for many. RPM supports shared printers even though it's a Windows service by using login credentials. We can also print to shared folders and run programs with network access, for example, your scripts which use a shared device. We continue to enhance support in this area as we recently added login failure to our list of critical events. Now, if you change your domain login without updating RPM, we'll let you know as soon as we run into an error. Check out the article! MiNET, our reseller partner in Boise, Idaho, supports Fortune 1000 clients in their ongoing enterprise printing activities. 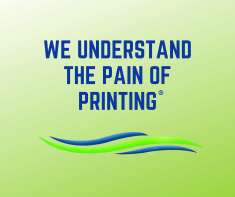 They leverage their Manipulex offering and our RPM Remote Print Manager to provide a variety of services. If you are facing the task of modifying your point-of-origin source code to fit your new printers, please give Mike Blackburn a call! Their partner and customer lists are impressive. Some of the most significant recent news we have is that the Raw Print action now supports Microsoft Class Drivers. Since the days of Windows 8, we've had to advise our customers to use a "Generic / Text" driver in any print setup using direct print or raw print. Now those days are over. When RPM does raw print to a printer, it tests the version level of the print driver and makes the necessary adjustments. We've also added support for displaying the Server 2019 version, improved critical events updates, and handling of non-Microsoft True Type fonts for Text Print actions. We have a blog that describes the 6.2.0.499 release in more detail. We continue to build out the How To page, which describes common operations people need to understand in a hurry. We recently added new content which explains how to manage your RPM print queues. Some of these options may be new to you. From the moment you start the RPM service, it's logging events on your system including network status, Windows version, incoming print jobs, device status and much more. We put together the Logging FAQ for several reasons: even a basic introduction will help you know what is going on, and if there is a problem to troubleshoot, we show you how to do that as well. Text Markup refers to the suite of tools we use to convert a wide variety of data into graphical output such as PDF and Windows print. I wish I had come up with a catchier name than "text markup." Nonetheless, depending on your print workflow goals, our text markup may be a useful tool. RPM has nearly 25 years experience in the LPD print protocol. With the RPM 6.2 release, we have completely rewritten this important module for reliability, flexibility, and speed. This article talks about what's new, what has gone before, and how to get the most out of this core component of RPM. RPM has supported telnet printing for many years now. This page will help you setup telnet printing successfully. Also, we talk about the upgrades we completed leading up to the RPM 6.2 release. A customer with a mainframe asks us how to convert his ASA data to both PDF and plain text. In this article, we walk through the steps to do that successfully. Much of the time, it's easy to send print jobs to RPM. When you install RPM, we start the service automatically and create an exception for your firewall. However, sometimes one or more things crop up to make it a bit more challenging. This article includes nearly all our advice on sending print jobs to your RPM. If you are not that familiar with ports and protocols, then this page will help to guide you through that process. One of the questions we hear the most is "how to connect the print queues to my printer(s)?" Here we set out to answer that question. RPM attempts to take full advantage of every feature of Windows printing, but you don't need to know all that to make a good start. This guide will walk you through the setup as if it were your first time. Maybe it is! If so, thank you. Another question that comes up frequently is how do I generate documents already formatted for my printer? Examples could include PCL and PostScript as well as less commonly used formats. This guide will show you the basics, leaving room for more advanced applications. If you have ever wanted a print server with an embedded file system watcher, then we have good news for you. Queue Folders version 2.0 is now available. It works exclusively with RPM Elite although it has a separate license. We have listened to everything our customers have said regarding the version 1.0 release and made an all-new implementation which manages any local hard drive folder. We think you'll be pleased! We have put this product through the grinder, sending tens of thousands of files, using it with program output and Unicode filenames. You'll find the Queue Folders documentation to be pretty extensive for a beta release. Or, in the user interface, go to Help / Check for Updates and select the "beta version" 6.2.0.484 or later. It seems like at any given time we have at least one customer exploring the question with us, “how do I print my jobs from multiple trays?” We also hear these terms: multiple-tray printing, printing on multiple printers, even printing on different colors of stock. Read more about triplicate printing. It may be fair to say that much of the document related effort in the world today focuses on creating PDFs, at least includes PDFs as part of the output. Very commonly this is a manual process. But, when you can automate the process of creating PDFs, you are looking at a notable savings of time and resources. RPM provides numerous ways to create PDFs. Read more about Creating PDFs. Watermarking is the process where you add one or more images to a printed page. RPM supports adding watermarks to PDF files and text print jobs. Watermark support is part of the RPM Elite version of the product. Read more about watermarks. We love tech here as much as the next person, and probably more than most. However, there's something inspirational about a good story. Somehow, finding out what someone else did creatively with technology makes you think of new ways you could improve your own life as well. We've moved our featured customer stories (check the link) and will track down the others tucked away on our site. We admit that database maintenance is not the most scintillating topic. But, if you administer an RPM system, it's a good thing to know. We have a new article that should help you master this topic, and even better yet, do it in minimal time.